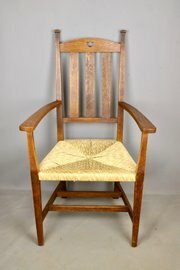 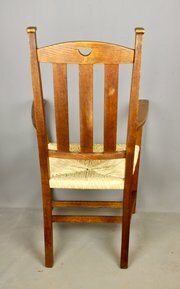 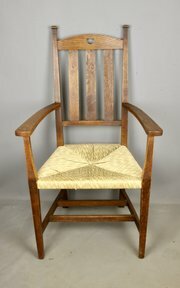 An attractive and practical Arts & Crafts open armchair, dating to circa 1900, with heart piercing to the toprail and a rerushed seat. 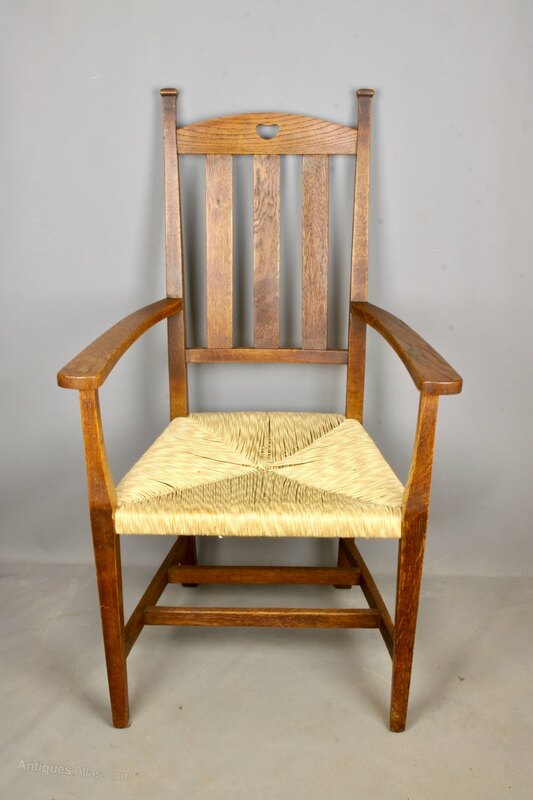 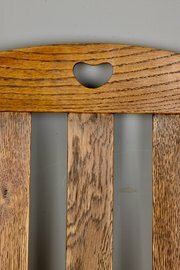 Equally suitable as a desk chair, dining chair or as a side chair it is in good condition, commensurate with age, with a decent colour. 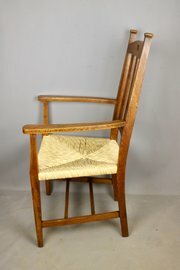 It measures 112cm high, 63.5cm wide and has a seat height of 47cm.